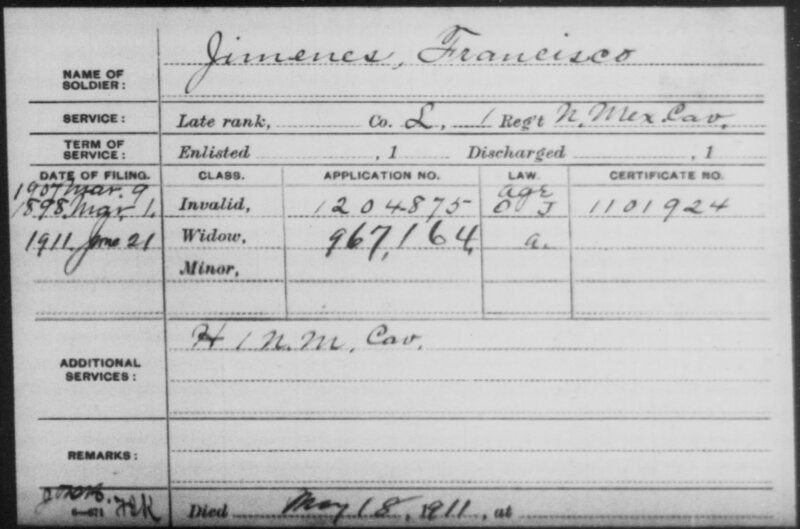 Civil War Pension Index card for Francisco Jimenez. Source: National Archives and Records Administration. U.S., Civil War Pension Index: General Index to Pension Files, 1861-1934 [database on-line]. 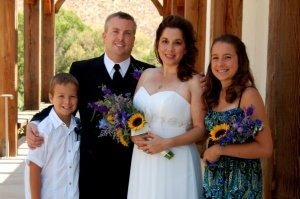 Provo, UT, USA: Ancestry.com Operations Inc, 2000. A few days ago, I wrote about discovering my first ancestor who fought in the U.S. Civil War — my Mexican-born 2nd great grandfather Francisco Jimenez [Jimenes] (1841-1911). I found this information through his Civil War Pension Index card on Ancestry.com, which indicated that Francisco served in the 1st New Mexico Cavalry — when New Mexico was still a U.S. Territory, that also included present-day Arizona. I did a little more digging this week, and found additional records that corroborate Francisco’s service in the Civil War and in the 1st New Mexico Cavalry. The versions of Francisco’s Civil War Pension Index cards that Fold3 has on file look identical to the one available on Ancestry, but include a bit different information. The Fold3 cards do not include the name of Francisco’s widow, Clara Salas, who applied for his pension after his death. The application numbers and date of filing match up with the card on Ancestry, although Fold3 shows a 3rd date of filing — 1907, due to invalid status. The Fold3 versions note a date of death for Francisco, 18 May 1911. They also provide a bit more information about Francisco’s military service (although still no actual dates of service) — he served in Company H and in Company L, both with the 1st New Mexico Cavalry. The Ancestry version only identifies the regiment, not the specific companies. Francisco Jimenez, Company H, 1st New Mexico Cavalry. Organization Index to Pension Files of Veterans Who Served Between 1861 and 1900. Courtesy of Fold3. Francisco Jimenez, Company L, 1st New Mexico Cavalry. Organization Index to Pension Files of Veterans Who Served Between 1861 and 1900. Courtesy of Fold3. 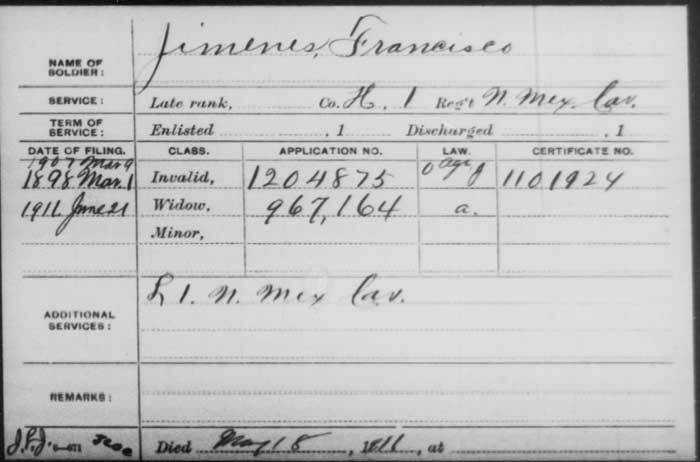 I was also able to find Francisco Jimenes on the Civil War Soldiers and Sailors System (CWSS) available online through the National Park Service. The CWSS entry notes the same regiment and company numbers that were identified on the pension index cards. What is nice here is that the CWSS provides some new information, his rank when enlisted (Wagoner) and rank when his service ended (Private). Interestingly, the CWSS lists another Francisco Jimenes [Jimenez, Jemines] in Company H of the 1st New Mexico Cavalary. This Francisco Jimenes is only listed in Company H (not L), entered service at the rank of Private and left at the rank of Bugler. It is very possible this is my same Francisco, but it is also likely this is someone else with the same name. I guess this is just one more puzzle for me to investigate.